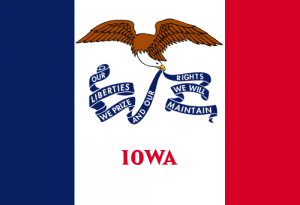 Pray for all the resources and creativity needed to fulfill the intentions of God in the state of Iowa. State Information: Although it is sometimes called the “Corn State,” Iowa really is a breadbasket for the U.S., with 90 percent of its land devoted to farming. The main products are corn and hogs. Named for the Iowa River, which was named for the Iowa, or Ioway, Indians, Iowa joined the Union in 1846 as the 29th state. The wild rose is the state flower and the capital is Des Moines.